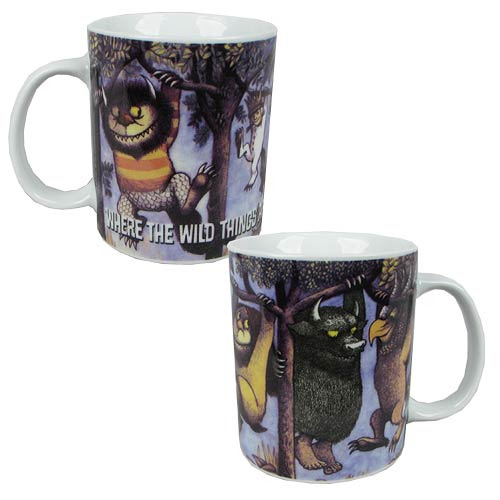 Shopping for Where the Wild Things Are Mugs? Let the Wild Things bring a little magic to your morning with the Where the Wild Things Are Hanging From Trees 11 oz. Mug! This super durable porcelain mug includes a c-handle for easy portability. The mug features Max and the Wild Things hanging from the branches of a tree with the book text written in white on the bottom. Ages 12 and up.